A Texas county commissioner has apologized for saying that the Latina heading the state's most populous county should "speak English" after she spoke in English and Spanish at a news conference about a massive chemical fire, NBC News reported. 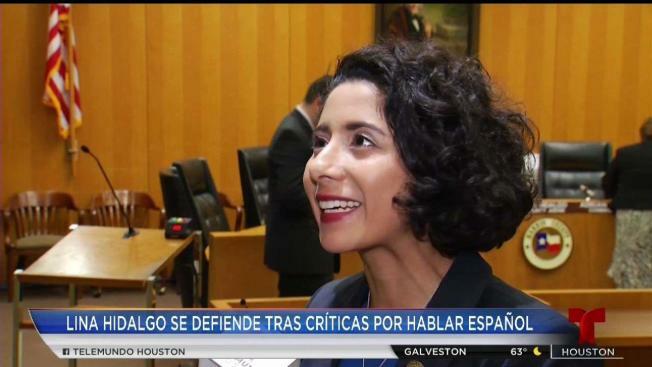 The commissioner, Mark Tice, of Chambers County, posted a comment saying "English this is not Mexico," after Harris County Judge Lina Hidalgo — the first Latina and first woman elected as the county's top executive — addressed constituents and reporters from English and Spanish language media outlets on a briefing Monday that was streamed on CBS affiliate KHOU’s Facebook page. In the same comment, Tice said Hidalgo was "a joke." Tice confirmed to The Houston Chronicle that he had posted the comments, saying: "It’s real simple. This is the United States. Speak English." The immediate backlash following Tice’s comments pushed him to issue a response.